Hitting the open road and traveling the world before our time runs out is a dream chased by many for good reasons. Some things cannot be learned or experienced inside your comfort zone. To gain more understanding of the world around us, new places must be explored first-hand. A lifestyle such as this has its challenges, but for those of us that still need to earn income while doing so the challenges are greater. Some find it easier, as they are self-employed or have already secured a remote position, but for others it’s not as simple. 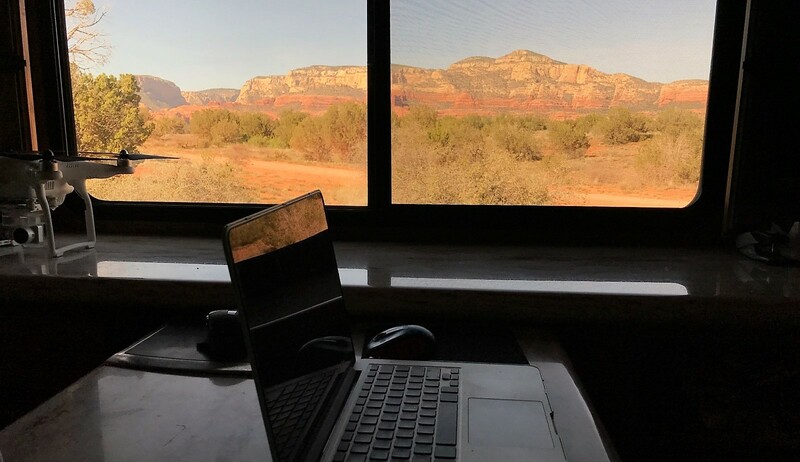 Transitioning from an office environment offers its own unique difficulties, such as convincing our supervisors and peers that productivity and communication will continue, whether we are seated in a cubicle or perched on the side of a mountain. While every job circumstance is different, here is some brief advice that can help you achieve that dream. 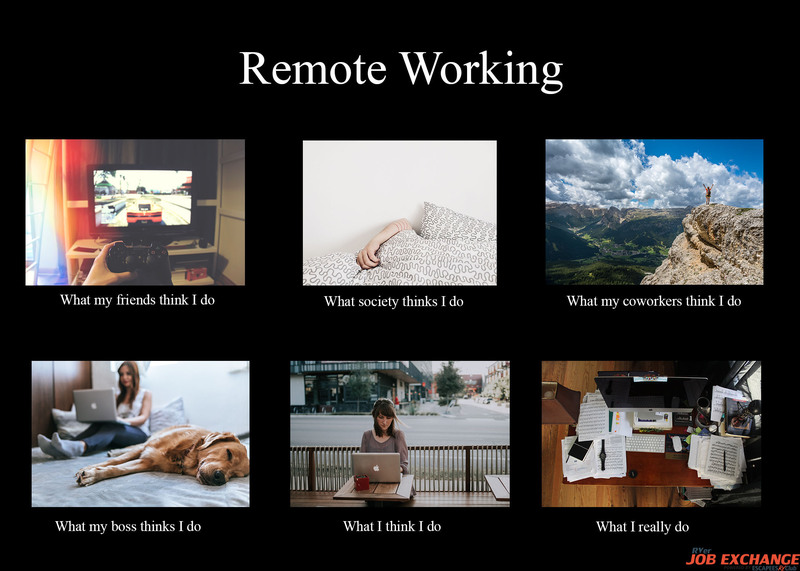 When the opportunity to mention discuss working remotely presents itself, jump on it! This may take the form of a positive employment review, an annual budget discussion, or a conversation about work/life balance. Try not to make it seem like a joke, but throw the idea out there and see what kind of response you get. Use the conversation to gauge how difficult the convincing will be. If there are others in your workplace that work from home, ask them for input on how they transitioned to gather advice for approaching your boss so you can begin to build your game plan. Keep in mind, it may take more than a few hints for your employer to give your suggestion serious consideration. Mentally prepare yourself and make sure this is something you really want. Build your case. Create a script of how you think the conversation will go, and thoroughly research data to address concerns that you think may arise. It may seem as if working from home may be more unproductive than the office environment but numerous studies have shown the exact opposite. Ever heard the term “A happy employee is a productive employee”? Well, it is true. Giving up the rush hour commute equates to less stress and more money for the employee. Lowered fuel and maintenance costs keeps more of each paycheck in the pocket. Avoiding the dreaded rush hour also results in increased productivity and an improved sense of job satisfaction. When you start the day with a hot cup of coffee and the comforts of home, you aren’t still thinking about the bad drivers along your commute, or how someone took your spot in the company parking lot. But the remote worker isn’t the only one saving some dollars. Employers also enjoy savings through lowered overhead expenses. These may include lowered or nonexistent lease payments, due to needing less square footage. With that comes a drop in utility expenses, as well as fewer conversations debating the quality of the office coffee supply versus the cost of unlimited coffee consumption. 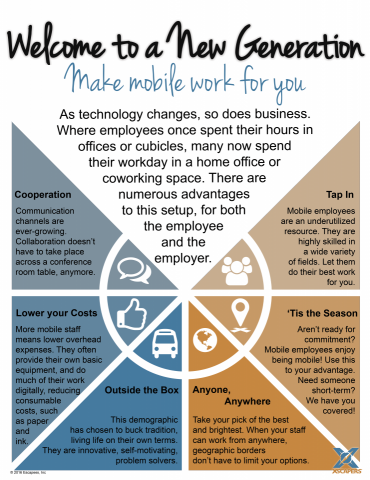 It has been estimated that the average employer saves about $10,000 per remote worker. Take advantage of a holiday or sick day and learn what struggles you face with remote working. You never know until you give it a try. Then, rinse and repeat until you work out the kinks. Ask for a trial period and use that time to show that you have the work ethic to manage your time and productivity, taking part in teamwork without making your position an inconvenience to others. The goal here is to give your boss and coworkers the sense that you are working in the office even though you are not. The moment it becomes an inconvenience, the harder it will be to convince them this transition is effective for everyone. How much is it worth to you? Be willing to compromise. Working remotely is a privilege, not a right. You may lose some perks in the transition, so make sure you enter the conversation ready to negotiate. Office equipment may be the first to go- some companies aren’t willing to send you home with company property. This means you’ll need to provide your own printer, file storage, desk, etc. If your employer agrees to let you work from home, they may still expect you to stay near the office, within a reasonable traveling distance. Be prepared to discuss your wants and needs in regard to this- are you willing to split your time between office and home? Do you plan to work ‘from home’ or do you plan to travel and work? Know what you want, and where you’re willing to compromise. Demand too much, and you may find yourself working from home… permanently. If you have history with the company, or are a difficult talent to replace, use this to your advantage. But, don’t set ultimatums unless you are willing to stand by your word. If you are willing sacrifice it all to accomplish your dream, then by all means, go for it. Often, employers will come to see your value, and open their minds to working with you in order to retain your skills and expertise, though this process may take time. Replacing valuable staff is expensive, and the learning curve for your replacement is unpredictable. How much you push it in your negations is up to you as it can lead to a death spiral for an unhappy work relationship. If your fellow coworkers are still showing up in the office, know that you will have to put in the extra effort to stay involved. Don’t let them enviously think you are on a permanent vacation! Use phone or video calls when you can to remain part of the office dynamic. Emails are great for relaying information and keeping everyone involved but they lack personality and can trigger a breakdown in conversation. Always be available as if you were in the office and treat conversation the same, otherwise the moment you are urgently needed and are not available you will confirm the assumption that you are kayaking or getting drinks at the local pub. Set goals and create daily tasks to align yourself with the company. Show that you are a valuable worker by submitting progress reports and complete tasks consistently on time. Remember, no one will know what you are working on unless you tell them. Strive to bring new ideas to table and inspire new projects to better the business. Going above and beyond, along with maintaining your motivation, will go a great distance to combat any negative feelings your co-workers and boss may have. Research and test out new programs and tools that will help you stay productive and collaborate with your co-workers. A project or task management program can help you stay on top of your game while keeping other team members current on your daily work progress. Utilize a video conference program to create in person meetings to discuss projects or brainstorm. A chat program is also great for quick interactions, much like walking into someone’s office. You and your team will find many of these tools help keep you engaged while also improving overall office environment and productivity. For those that don’t have strict work hours, use your motivation to your advantage no matter when it is. I call this the focus bubble. Most of us can’t maintain 100% focus 24 hours a day. Learn your habits, and take advantage of your most focused time to accomplish big tasks. You will find that during this window, you will complete goals and projects in much less time than you will when you’re struggling to focus. This works both ways- there are times when we are just not feeling it, so take that time to do something relaxing and rejuvenate the batteries.The good news is this bubble will come more often than it did in the office due to fewer distractions.